I am trying to live an active lifestyle. I’m also trying to be a mom, an income earner, a wife, a homemaker, and a blogger, but I digress. Last fall I thought I’d love to be a runner. Pound the pavement, get the workout over more quickly than walking, and get healthy in the process. In the fall, the winter (although less) and the spring I did some sporadic running. It made me sore and tired and sometimes gave me heat exhaustion. And then it became summer. This summer has been hot. So hot, in fact, that on my walk this morning I saw cacti flourishing in someone’s garden. I don’t really know if they’re a happy camper in my zone 4 (maybe 5) world of gardens but I enjoyed the sight. Made me think maybe I’ll look into cactus gardening myself for next year. But this is not a garden post so let’s stay on topic, shall we? I don’t remember for sure, but I think this summer I’ve gone for a run maybe twice. Both times I thought I was going to die. More so than any other run I’ve done where I also feel like I’m going to die. My hands swell like crazy – I can’t wear my rings; my face gets beet red, tight and hot; and I barely sweat. I don’t think this is normal. People have told me to drink more water – I tried that and no difference. They told me it’ll get better – I can’t deal until it “gets better.” I think my homoregulation processes are not going to allow me to be a runner. Let’s be clear here. My “running” is really walk a block or two, run a block or two (three or four if I’ve been out on a regular schedule.) I’m nowhere near being an actual “runner.” I would say I’m a great walker. Even in the hot weather I can briskly walk for 30 minutes with no issue. When it’s a bit cooler walking for an hour or more is a breeze. And I love listening to my music while I’m out working up a sweat. But I just can’t transition to running. 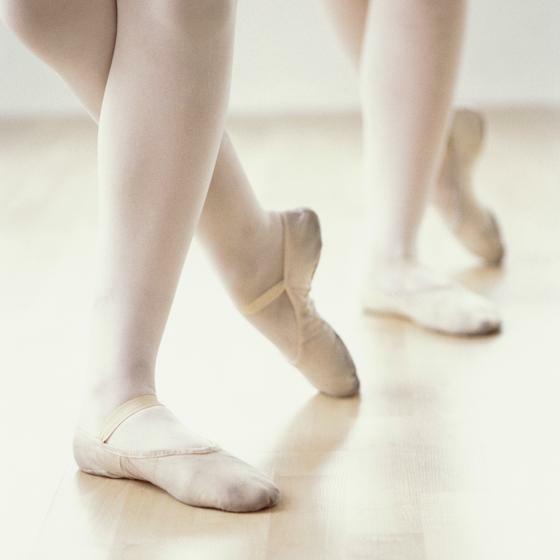 As a different workout I’ve been taking ballet lessons during the “school year.” It’s a great class for working your legs (and core and arms and whole body really) and your brain. Lots of terms, ideas, positions, and lovely classmates to enjoy the dancing with. I have post about how I was doing 6 months in to the classes. I’m going back this fall to continue my Adult Ballet I learning. They are going to pressure me to move up to Adult Ballet II – I’ll see how the kids dance schedules are and if I can work it in! I guess I just have to accept that I will never run a marathon. My body doesn’t seem like it was built for running. It won’t stop me from going for a “run” once in a while – and more often when it’s cooler. And I’ll continue to enjoy my walks, and my dance classes. But I still wish I could be a runner. There’s something about pounding the pavement that really appeals to me. And yes, I know that if I keep working at it I will build up the strength and endurance necessary to feel more comfortable running, but I don’t have the time (mom excuse!) to devote to that much work. Maybe I can interest the kids in running with me, though I feel that will lead to them being great runners and me doubled over panting, with my burning red face, blocks behind them! If you have any tips on bettering my running – or anything about exercise in general – please share in the comments. I’m always open to ideas or suggestions of ways to get, and stay, healthy! Sometimes life conspires against us, doesn’t it? I do enjoy a nice walk as well as a jog so as long as I go do something I feel accomplished. Thanks for your comment Merlinda! Like you, I prefer a brisk walk any day. Running just isn’t for me either. Thank you Jayne. I do enjoy my walks – took one this morning in fact. Thanks for stopping by with a comment! Shin splints are awful! And I can’t say I haven’t injured myself at ballet – my teacher works us hard some week (most weeks but I think it gets easier as you get toned up!) Sometimes I can barely walk the next day because my calf muscles are seized from all the raises we did the night before! I still love it though! Thanks for the comment. When I stated back running I was doing 2 mins run 2 mins walk then over the weeks increased the run time and slowly reduced the walk time. It’s worked really well and I’m now running for lengths of time that seemed unattainable at the start! Totally love ballet toward am starting that up from sept- like you say a totally different workout and so very lovely!! Keep going with the running, I’m sure you’ll get there! I’m a big advocate of whatever exercise works for you is the best exercise. I know some people try and force running on themselves and it never turns out with a happy ending. I think walking for 30 minutes is great exercise! You’re doing a great job, I would stick with that : ). Thanks for sharing with #StayClassyMama! I totally agree with that philosophy. Thank you for the positive encouragement. I need to find a way to work a little more activity into my weeks though! In my mind a run is quicker than a walk, which was why I wanted to try out that option. I’m sticking with what works for me though. Hi Jess, I feel your pain, I have been a regular plodder (it feels fraudulent to call it running)for a fair few years now, but I know I will never be a ‘runner’. My husband is one of those painful people that can just run. I’ve only got to miss a week of running and I feel like I’m back at the beginning again. But it doesn’t matter as the main thing is I am out and trying… And I found that by running further, the shorter distances feel easier. Another thing I found is that by only running three or four times a week and getting on my bike once or twice my running does improve faster over time… But you know? If I want to walk , I walk. At the end of the day I’m doing it 1) because I can 2) to maintain a level of fitness 3) because I love those ‘happy hormones’. Do whatever makes you feel good. Exercise should be fun! I definitely prefer a walk, but I like to think a run will get my “workout” over quicker. That’s not the case for me! Thanks for the comment Naimah! This is funny. I can so relate. I will never be a runner. My hands swell, I turn beat red, and I actually sweat a river. So on that we differ. I also have a heart condition though. Keep monitoring your blood pressure. Elevated resting blood pressure is your first sign. Thanks for sharing. I will for sure keep an eye on my health. I have noticed I can run a little bit more this spring than I could last year. Maybe all these weeks of dancing have actually improved my fitness level!